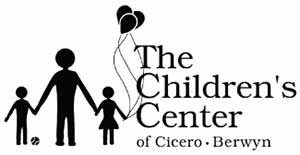 The Children’s Center has been a part of the Cicero and Berwyn community since 1978 providing children and their families a safe learning environment. NAMI Metro-Suburban saw a need in the community for a social outlet for those suffering alone with mental illness and established the first free-standing, consumer operated, peer support facility in Illinois in 1993. The Center provides an array of services for people living with mental illnesses. Pillars is the largest nonprofit provider of mental health and social services in the western and southwestern suburbs of Chicago, serving 10,000 people each year through direct client services. Pillars mission is to build healthier communities by making connections and changing lives. Staff members are working hard to empower people to face challenges and live healthy, independent lives. They focus on helping clients remain in the community and avoid hospitalization. Sarah’s Inn is a community-based organization whose mission is to improve the lives of those affected by domestic violence and to break the cycle of violence for future generations. Youth Crossroads is a community-based organization whose mission is to act in the best interest of youth, guiding them through life’s challenges, and inspiring them to discover new opportunities for personal development, healthy relationships, and positive community involvement.